This is such a simple cake but still so fancy and special. The best thing is, it's really easy to make. Add the dry ingredients to a bowl and mix. 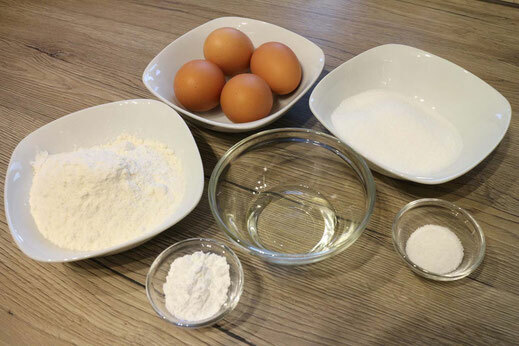 Now add step by step all other ingredients and mix till everything is evenly combined. Next fill the dough in the already greased and floured tart pan and bake for about 15 minutes at 180°C. 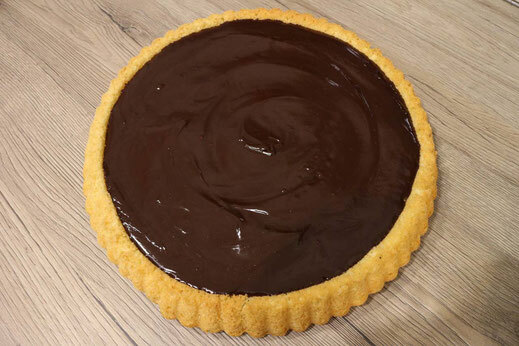 Let the tart cool down and prepare a chocolate ganache out of 200g of chocolate and 100g of whipping cream. 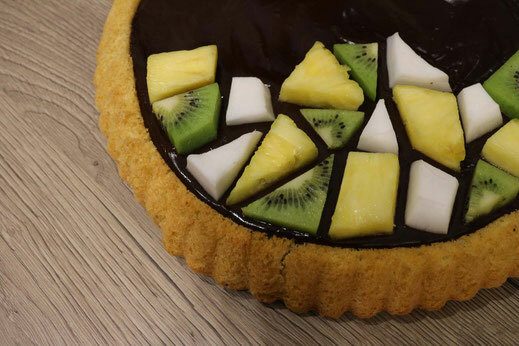 Fill the tart with the chocolate ganache. 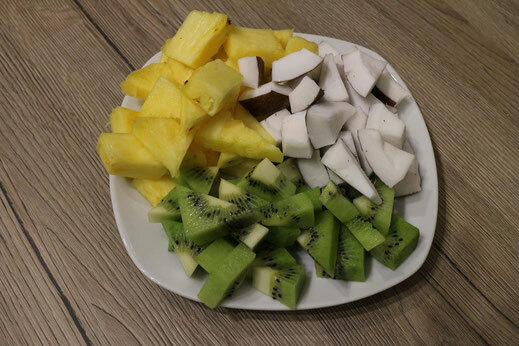 Now cut up half of a pinapple, half of a coconut and a kiwi. 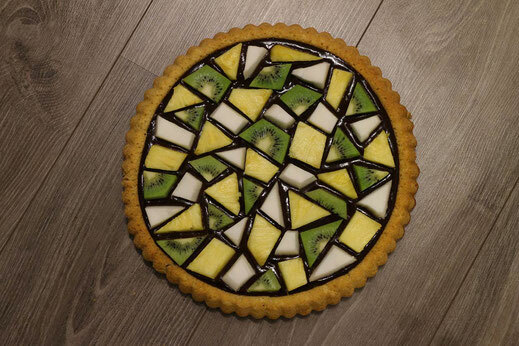 First slice them in about 1cm thick slices and now cut them in triangles and rectangles with different angles. 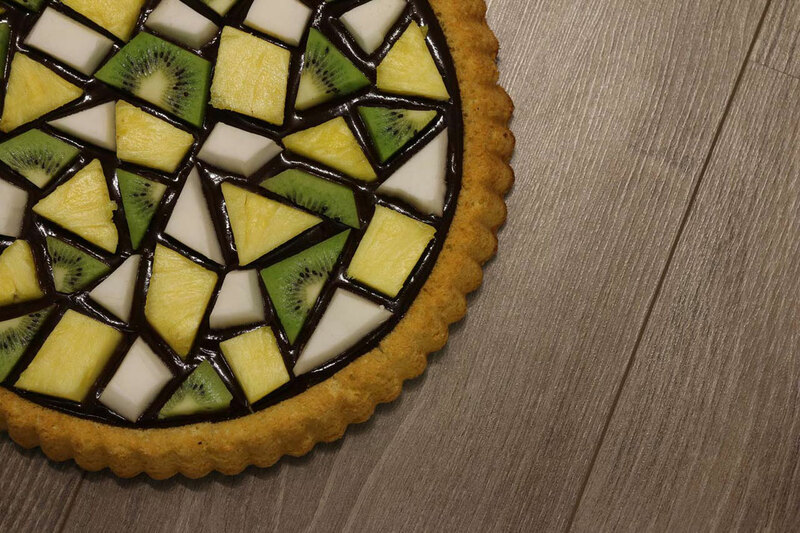 Arrange the fruits on the still warm chocolate ganache and take into account the size of the pieces. They should have a small and regular gap between the fruits showing the ganache. You might have to try around a little bit with the pieces.